The crisp snap of dry twigs catching fire alarmed Comfort Grant from her restless dream. Without moving from her bed of pine needles, her eyes searched the immediate surroundings for the presence of the Moravians. Her spirits deflated when she remembered they had left the day before. She and her husband, Jonathan, were on their own. Fear nudged at her waking thoughts but she denied its entrance. Beyond the bright blaze of the early morning fire, Jonathan squatted down, rubbing his hands together. By the light of the flickering flames, her husband’s chiseled features stood out. Despite the constant distress of the last weeks, she still appreciated the handsome curves of his cheekbones and lips. She longed to feel the pressure of those lips, as she remembered how he would hold her close at night. But that was before they fled in terror from Pennsylvania and the Indian threats; before they had become so lost that Jonathan was forced to stand watch for unfriendly natives as well as French militia. Comfort shivered. Survival took precedence over affection, but she ached to feel his embrace. Grasping the small swell of her belly, Comfort both rejoiced and despaired at the presence of the new life forming inside her. She did her best to hide this change from Jonathan—no sense in adding to the man’s fears—but she knew it would not be long before he noticed. She bit her lip as she held back her tears. If only we were back home in Massachusetts. She sensed Jonathan’s gaze. “You’re awake.” It was just a few words, but she heard the concern in his voice. “Sleep well?” His eyes riveted upon her. Forgive my lie, dear Lord. I heard every howl from the wolves. Please, Lord. Help me keep my food down. Indeed, had they not run into the young envoy deployed by Governor Dinwiddie to bring an ultimatum to the French in Pennsylvania, they would still be heading south—directly opposite of their goal. It was also providential that the German-speaking Moravians, who were on their way to start a new settlement, were so helpful in sharing their food and their protective presence. But the language differences between the Grants and the Moravians had prevented Comfort and Jonathan from understanding that the group was going south. The Moravians had no idea where Massachusetts was. With the constant cloud cover and unfamiliar terrain, Jonathan was unable to discern where they were. Running into Major Washington had at least spared the couple from journeying even farther away from home. But now home seemed so out of reach. While Jonathan went to prepare the horses, Comfort stooped down to scatter the bed of pine needles. No sense in announcing our presence to the natives. She shivered as she thought of Jonathan’s brother, who had settled in Pennsylvania only to be found by their father in the woods. He had been savagely slaughtered and scalped. And now Jonathan’s parents are gone as well. 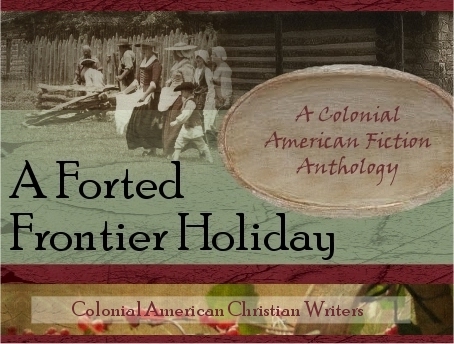 When Jonathan determined to leave their home in Deer Run to bring their then-living parents back to Massachusetts from the frontier, Comfort had insisted on going. She would not stay behind to wonder where he was or fear for his safety. Now, she realized, Jonathan feared for hers. Had she made the right choice? Placing her hand gently over her womb, she smiled despite her concerns. If I’d not come, this child would not be here. She cleaned up the rest of their blankets and cups, then took a moment to enjoy the stunning beauty of the valley. The birches and poplars were shedding the last of their golden foliage onto the earth. It must have been splendid not long ago. She sighed. Someone approached from the Old Wagon Road. Comfort pulled her wool cloak close to her neck, and tried not to make a sound. Surely her rapid breathing would betray her presence. Preserve our lives, O Lord. Tears stung her eyes. Preserve our child’s life, O Lord. Trails of moisture rolled down her chilled cheeks. “Friend. And who might you be, sir?” Jonathan lowered his musket with ease but kept it at the ready. “Aye. We barely escaped the Ohio Valley, what with the unrest from the natives. Then the weather turned. We ran into a dozen or so men from Pennsylvania—Moravians, they called themselves. But we had difficulty understanding their language and before we knew it, we’d traveled too far south. We ran into an envoy from the militia yesterday who explained where we were. Now the weather’s turnin’…” Jonathan shook his head slowly, concern etched in his face. “Aye.” Jonathan’s lips tightened into a thin line. Comfort gripped the edges of her cloak. Snow? The scout looked at Comfort for a moment, then back at Jonathan. “Ya might consider followin’ me to the fort. Word has it, things could get unpleasant around here.” A quick glance at Comfort again sent fear coursing through her already chilled veins. Shadrach dismounted and walked toward Comfort. Taking her by the arm, he led her to the mare that Jonathan had saddled for her. The scout began to lift Comfort onto the side saddle, but Jonathan reached him and grabbed his arm. Comfort felt heat rise in her cheeks. “I’ll help my wife.” There was more than an edge of irritation in his voice. Jonathan lifted her with care onto the saddle, his hands secure around waist. He looked up at her with eyes that seemed to say so much. Sometimes he did not even need to tell her he loved her—but she thrilled to those words whenever she heard them. After Jonathan mounted his gelding, the three started off with Comfort riding in the middle. Both men kept their muskets at the ready and frequently glanced around the thickly forested trail. The scout kept a running conversation going. “Aye.” Jonathan’s throat sounded thick. The rest of the ride to the fort was spent in silence. It seemed like they would never get there, but soon, Comfort startled from her sleepy state when Shadrach shouted. The tall wooden doors creaked open with the assistance of two militiamen in red uniforms. The soldiers hurried the three riders into the open area of the fort. There was so much activity inside. Comfort gaped at the strangers, some in unfamiliar clothing. A cacophony of voices speaking different languages filled her head with confusion. Her head swam as she felt her husband grab her hand. She stared at him, feeling weaker by the minute. Lifting her off the mare, Jonathan held her in his arms. “Comfort, are you all right?” His blue eyes glistened. A petite and extremely pregnant woman approached the twosome. “Is she ill, monsieur?” The woman smoothed her hand across Comfort’s cheeks. “I don’t know.” Comfort saw Jonathan swallow with difficulty when she opened her eyes. “No, I’m well. Please, put me down, Jon.” She stroked his cheek and tried to smile. He set her on the ground but kept his arm around her waist. Comfort could feel the pregnant woman’s gaze. As intimidating as he tried to appear, Suzanne drew her own slight frame up to its full elevation, placed her free hand on her waist and threw her head back. “Colonel Christy, and who are you to fight with a woman in my condition? And how do you know that this woman does not have an enfant?” Her glare appeared to bore through the man. He stuttered, then stomped away. “That will take care of Monsieur ‘Badger.’” She huffed then drew Comfort toward the door, and led her inside the cabin. The room was filled with the soothing scent of woodsmoke. And there was a bed near the fire. "Thank you, Suzanne.” Exhausted and overwhelmed, Comfort’s voice whispered. The French woman’s eyes lit up with joy. “Ah, ‘Comfort.’ Perhaps you will be a comfort to me when my time comes, oui?” She patted her enormous belly. Comfort’s eyes widened. “I don’t know…” She clutched her own abdomen without thinking. Suzanne looked at her. “So, when might we expect your little one?” Her expression twinkled with mischief. Comfort did not argue with the demure yet insistent woman. Crawling beneath the soft quilt, Comfort closed her eyes yet her mind panicked. Help a woman in travail? I’ve no experience with the pains of birth. How can I help her—when I know not how to help myself? GIVEAWAY: One of Elaine Marie Cooper's books will be drawn from among the commenters on this post. 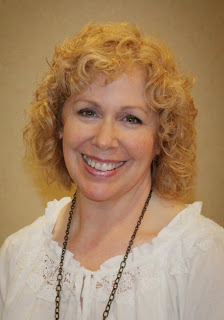 Elaine Marie Cooper is the author of The Road to Deer Run (Finalist in Next Generation Indie Book Awards for Religious Fiction), The Promise of Deer Run (Romance Winner for 2012 Los Angeles Book Festival, Finalist in Religious Fiction for ForeWord Review Book of the Year) and The Legacy of Deer Run. Her upcoming short romance story appears in the Christmas anthology, I Choose You (Dec. 2012). Cooper is also a contributing writer for Fighting Fear: Winning the War at Home by Edie Melson. "Preserve My Life From Fear" is based on characters that appeared in the The Road to Deer Run. the only thing that improves this series is reading them one after the other so I'm glad I waited awhile and now I am first rather than last to comment. Elaine - what a treat this morning. I salute all the CQers for this lovely gift to readers. I so look forward to more from Comfort and Jonathan and Shadrach. I can't imagine the ordeal of traveling as the Grants did as fall approached. There is nothing like the colonial setting, is there? Thank you ladies! Hi Debra! Thanks so much for your sweet words! It has been an amazing and fulfilling project, working with the other ladies from CQ, to coordinate this anthology. I love watching all the characters' paths intertwine. And yes, this journey for Comfort & Jonathan was fraught with terror and the necessity to trust in the kind hearts of strangers. Thanks so much for coming by! I've been part of a serial and it's fun to both work with others on the story but also to surprise them! Great job, Elaine! Loved reading this section! I am having so much fun reading each section and I know our readers must appreciate our holiday gift to them this year! So glad that this group came together to work on the anthology. Thanks, Elaine! Really enjoyed Comfort and Jonathan's story, Elaine. Especially like the way you portrayed their love for each other. Thank you for the window into the lives of women who not only struggled against the elements, but who carried the extra burden (literally and figuratively)of having babies in often dangerous settings. It was lovely of Suzanne to take such care of Comfort. Hi Susan! Thank you so much and I am thrilled you enjoyed the chapter. Our foremothers were amazingly brave and strong to survive and I admire their stamina and faith so much. I am always honored to portray their lives as realistically as possible. It helps us to keep our own lives in perspective. And yes, Suzanne is a lovely, motherly lady! I so enjoyed incorporating her into this chapter! Thanks, Carrie! I loved working your characters into this chapter—so much fun and collaboration! Can't wait to read the next installment. Thanks for birthing this great idea at CQ! Blessings. This is so fun!!! I am just so tickled to see how your characters reacted when they met mine. And I love how Shad just had to lift Comfort up, lol! He LOVES to HELP but somehow, methinks, he just thought she was a "right purty woman" lol!!! That Shadrach Clark is a busy man, what with helping at tea parties, rescuing women from the wilderness, inciting jealousy in husbands...LOL! So happy to see you here, half-Irish Kathleen (which is a 100% Irish name!). And if You are the winner, I will indeed obtain a copy of "I Choose You" for your prize. ;-) Thank you so much for coming by! That Shadrach Clark is a very enjoyable man! Thank you for your kind comment and for stopping by. Delightful, Elaine. I always enjoy your writing. I've spent lots of time in the area of the anthology - makes me long to return. Thank you, Janet! So happy to hear your encouraging words. I'd encourage you to step back into the anthology world—a fun place to write! :) Thanks for coming by. Great hook ending, Elaine! This was a very enjoyable and tense-filled addtion to the anthology. I always enjoy reading your work and your characters are so heart-warming. Love the name Comfort. The whole anthology has been wonderful! Thanks, Lisa! Your kind comments are music to my ears. ;-) So happy everyone is enjoying this addition to the anthology and I am personally looking forward to the next chapters to see where all this will go! This story was beautiful, Elaine. I love the way Comfort and Jonathan are so tenderly in love with one another. She is such a gentle heroine. Very sweet story. And a hard act to follow next week! Just got through speaking with you earlier, Elaine--and having the opportunity to see this before "it went to print" was a treat! BEAUTIFUL! I certainly got into the characters, (also love that name Comfort)the setting and feeling of it. Absolutely reminded me of the movie "Drums Along the Mohawk" with Henry Fonda and Claudette Colbert. And Carrie...I think you're really onto something with Shad! I used him in mine too; he does something very sweet for my Hannah! Great character! Now....how are we going to part with the enjoyment of reading this anthology when it comes to an end? Pat, so awesome of you to compare my chapter with "Drums Along the Mohawk!" I LOVE that movie!! Perhaps the setting of that movie helped inspire me. :) And Pat, I give both you and Carla HEAPS OF PRAISE for your great critiques! You were both wonderfully helpful. Thank you, ladies! Pat, I'm so looking forward to your part. I think everyone's going to be keeping an eye on Shad from now on...LOL! I love stories set in this time period - The women needed to be so strong to survive! Thank you for bringing their stories to us. You are so welcome, Kim. The hardships our foremothers experienced are incomprehensible to me. Just the basics—food, water, shelter—were such a challenge. Not to mention the fear and concern about childbirth. And little ones dying. Yes, they needed to be so strong. Perhaps that is why so many turned their trust to the Lord. Faith in God's Word became their strength and hope. Thanks so much for commenting! Thank YOU, Karen. It gives me great joy to know my words are appreciated. Thanks so much for commenting! Wow, I am loving this story! It is so nice of you ladies to treat us with this ongoing adventure. This Anthology would make a great 'movie of the week'. Elaine, I didn't want to stop reading this, I want to know what happens next! I, too, love the name Comfort. Can't wait for the next installment. Thank you so much, Debbie! That you wanted to keep reading are true words of encouragement to a writer. Bless you! I love the name Comfort as well. It was one of the unusual names that were often used for baby girls during the Colonial Period. Her name befits the story. :) Thanks for commenting! Whew! Just now catching up. Things have been a little hectic here so I read Chapters 3 and 4 this morning. I'm amazed at the way this is coming together. Beautiful writing from all concerned, well-drawn characters, twists and turns of plot. I can hardly wait to see how it all turns out. Same here, Judith! So happy you are enjoying the anthology. Thanks so much for your comments!